I know several of you lovely plant lovers own a Philodendron Pink Princess, so maybe you’ll be able to help me out. 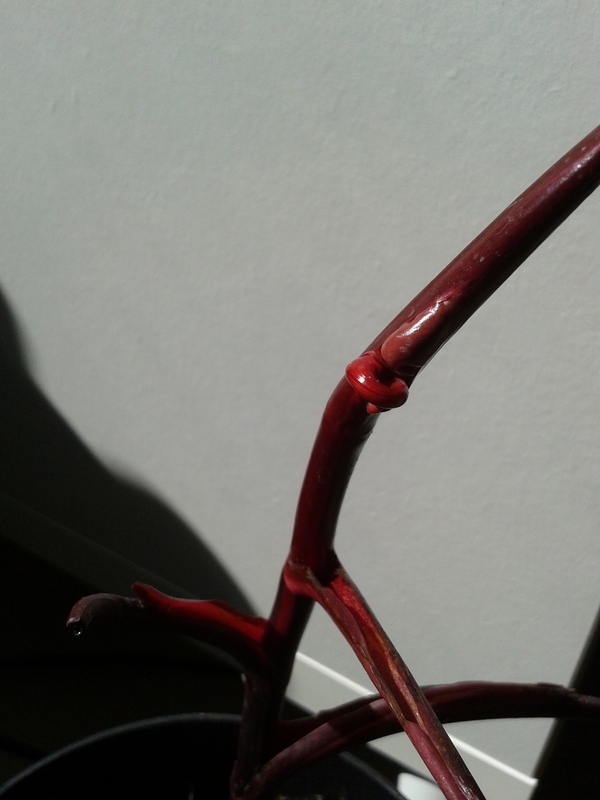 As you can see in the pictures, the leaves have a hard time popping out, get stuck and twisted. Due to this the plant already lost two leaves, and one leaf sustained damage. Humidity is between 60 and 70. The plant gets lots of light. 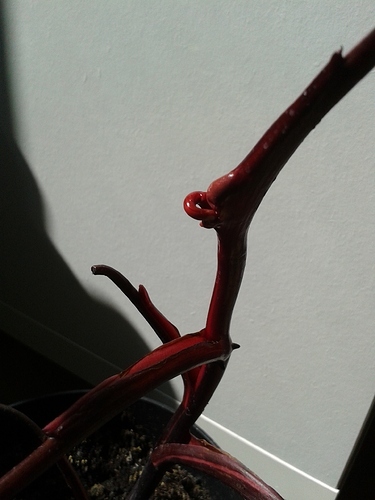 It seems to be happy, given it grows new leaves consistently. Any ideas, tips? Thank you in advance! I had the same thing happen to mine when I first had it as a cutting. The first leaf disconnected itself from the main plant at the base so was dead on arrival. The second leaf was quite contorted, partially brown, and looked terrible but almost 12 months on, is still alive. From the third leaf, it’s like it figured itself out. I haven’t changed anything about what I’m doing to it so perhaps the plant will sort itself out after it gets adjusted? This has been going on for about 8 months with all 6 leaves during that time. But at least there is hope that it could be just a phase. Thank you @v60fan! That’s interesting - I don’t use grow lights but always had the plant in the same spot (bright, but maybe not bright enough?). I moved it now, let’s hope that fixes it. Thank you, @ESS! No problem! Mine gets tons of light from my Gardener’s bamboo system but some natural light as well. However, over the winter two leaves struggled a bit to open (they came out normally eventually). Now in spring it’s giving me a new leaf every week, and they get more and more beautiful! I have so many grow lights because I only have north facing windows! I highly recommend Gardener’s grow lights because they are very bright! Some are pricey, but I think it’s worth it! 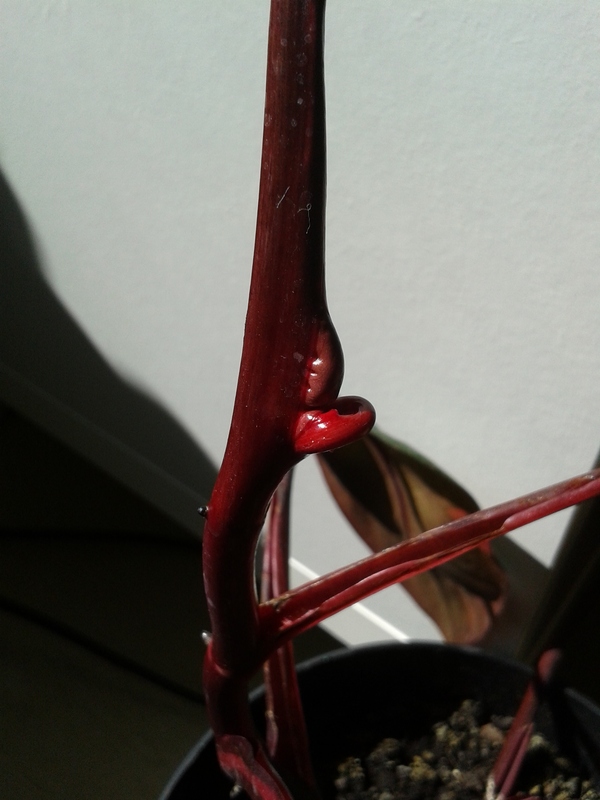 Mine does the same and the plants take forever to unfurl…I have one that has been like this for months and only just freed itself. Once out they do seem to look fine though but I’m finding the plant very painfully slow to grow. Hi @Violet! Have you tried changing anything since you got your PP? I recently moved mine to a different spot, but it’s too soon to tell if that will help. Maybe I’ll get a grow light - do you use one? By the way: The cuttings we swapped last year are doing great (from the plant in your pic) - three new leaves are growing just now. Am so glad to hear!!! My micans are growing well too…I love them one of my favourite swaps from last year, thank you so much. I’ve been a bit absent from the board for the last six months as I’ve had a second child two little ones are keeping my hands full! I’ve had my pp since Summer last year (I think!) and I’ve moved it around to different spots but so far not much change. I might try moving it to my SW facing window again near my kitchen sink where all the plants seem to thrive. Only difference is the last three set of leaves are pinker (finally!). I asked around and someone told me to not water it to much else you get brown leaves. I’m hoping it’s just a time thing and eventually it will sort itself out, Overall it seems to be doing ok.
Congratulations on the birth of your second child, Violet! My PP has pretty good variegation (up to 1/3 pink) - I’m rather the type to underwater anyway - but thanks for the tip!